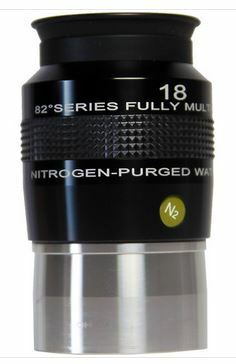 Explore Scientific 82° Series™ eyepieces, with their 82° apparent field of view, immerses you in a very comfortable ultra-wide field that naturally promotes relaxation at the eyepiece. When you relax your eyes and take in the scene presented before you, it is much easier to observe for longer periods of time, and details begin to materialize that may not have become apparent to you at first glance. Another great benefit of ultra-wide eyepieces is the ease with which you can gaze, not directly at an object, but slightly to either side. 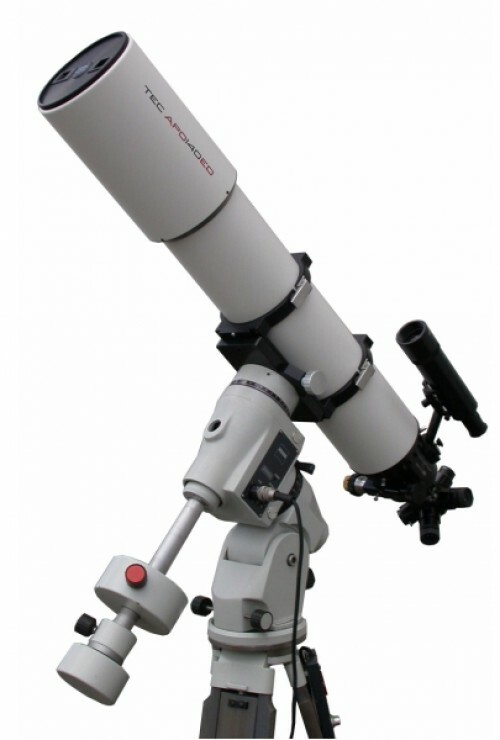 This skill, called using averted vision, is especially helpful when observing faint objects, because using averted vision puts the image on a part of your eye that is more sensitive to light, allowing you to see fainter images. 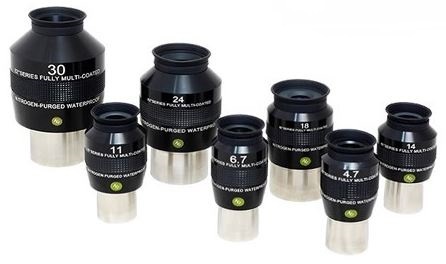 Optimized Optical Design Explore 82° Series ultra-wide eyepieces are optimized through each design, fabrication, and testing process to produce flat-field images that have high contrast and resolution. 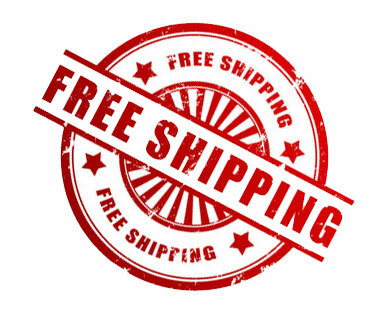 Exotic Glass Combinations for Optimum Results Eyepieces are constructed of 6 or 7 lens elements (depending on the focal length) that are fabricated from combinations of Dense Crown, Light Crown, Dense Flint, and Lanthanum optical glass. 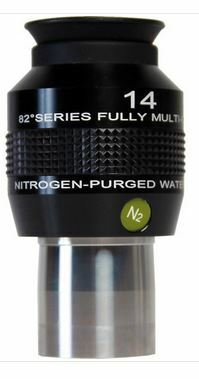 Durable Coatings & Finishing Touches Each element in your Explore Scientific 82° eyepiece is fully multi-coated, resulting in bright, sharp images, and every element has blackened edges to reduce internal reflections and increase contrast. 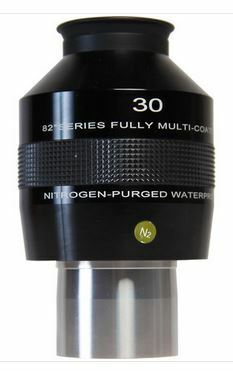 Waterproof, Fog-Proof Housing The internal optics of all 82° Series eyepieces are housed in a gas-purged, waterproof barrel that keeps them as pristine as the day they were manufactured. Cleaning is much easier, and there is no need to worry about water or fluid becoming trapped in between elements due to rain, spills, heavy dew, or getting over-enthusiastic with lens cleaning fluid. Tapered Barrel for Extra Security The insert barrel of each eyepiece is double-tapered to allow smooth insertion to, and removal from, a telescope's eyepiece holder or diagonal, however the wide dimension of the taper helps prevent the eyepiece from falling out of the telescope should the set-screw holding it in place become loose. 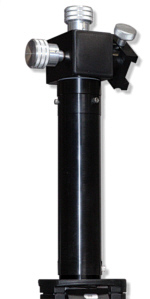 The barrel (1.25" or 2", depending on the focal length) is threaded to accept standard screw-on filters.